Briana Whatcott, 28, didn’t grow up speaking or writing English, but she knew from an early age that she wanted to write. A second-grade teacher recognized her skills and since then, Briana has spent her time developing her passion for journalism. Born to a poor family in Ethiopia, Briana was later adopted by a family in Utah and came to the United States. Briana recently graduated from Weber State University in Ogden, Utah, where she earned a Bachelor of Science in Communications with an emphasis on multimedia journalism. At Weber State, Briana was involved in the Society of Professional Journalists, the National Association of Black Journalists, and Black Scholars United, among others. Briana has also started her own nonprofit called Coloring Africa, which provides creative tools and exposure to the arts for African youth. “We provide the tools through donations, and people in various fields like design, photography and art volunteer to go over there and teach them their craft,” Briana said. Briana also enjoys fashion and entertainment. A self-described creative, Briana said she hopes to one day work in the field of entertainment. Her dream would be working for a network such as E!, hosting a talk show where she can express her opinions on the industry. 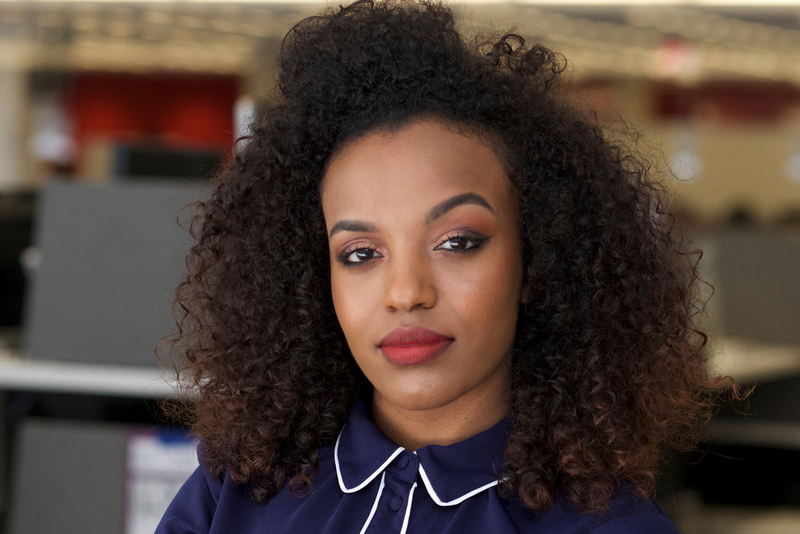 When she leaves The New York Times Student Journalism Institute, Briana plans to take a gap year before venturing to Washington, D.C. There, she will begin a program at American University to earn a Master of Journalism and Public Affairs.